It’s 6 days to the 2014 World Cup! It’s finally here after a long wait, isn’t it? Q: Which team do you support for the World Cup next week? Q: England must be proud of you 😛 So, do you fancy them winning the world cup this year? Do you rate them as the ‘underdogs’? Or are they considered as a genuine title contender? Q: Fair answer. Are you expecting an outstanding performance from any individual player throughout the tournament? A: Well, I think there are a fair few individuals to look out for, Robin van Persie, Luis Suarez, Neymar, Wayne Rooney, Lionel Messi and of course, Cristiano Ronaldo. Q: Alright, last question for you, which English player do you like the most, and what’s the reason? A: To be honest, I think Rooney is underrated at times but quite inconsistent, he isn’t what he used to be but still can surprise us, that’s why I would have to go with him. Q: Bonjour play, who do you support in the World Cup? A: I support France of course. Q: Cool, why do you support France? Q: Ahh I see. Which player do you like the most? A: I like the young players in the French team: Raphael Varane, Paul Pogba, Antoine Griezmann etc. They are the future of French football. Generally, I like Messi very much, he’s an artist! Q: Do you think they can win the World Cup this year? A: No, it’s a young team you know… I just hope they will play well and do not repeat what happened in South Africa… I think they can reach second part of the competition, but it’s hard for them to even reach the quarter-final. Anyway it’s just my opinion, and if I’m wrong then I will be very surprised. Q: Your thoughts on the potential title contenders? Q: So, who do you support for the World Cup this year? Q: Alright, personally do you think they will be able to defend the World Cup title? A: Humm, it’s a bit hard to imagine it, since there are very good teams like Brazil who are playing in their own country, Portugal, Argentina, Uruguay etc.. But why not, everything is possible. Q: Who do you support for the upcoming tournament next week? A: I am from Serbia and since neither Serbia or Canada made it to the World Cup finals, I will be supporting Chile, Greece and also Japan. Q: Wow, that’s an odd choice. Do you agree that they are they are the ‘underdogs’ of the tournament? A: Yes, they are ‘underdogs’. But i find it to be more fun if they go far or even win the World Cup. The obvious favorites are Brazil, Spain, Argentina and Portugal. Q: Right, which of the star players you think will stand out from the rest during the World Cup? A: Ronaldo, Messi, Shinji Kagawa, Georgios Samaras, Luka Modric, Edin Dzeko, Arturo Vidal, Neymar, Luis Nani, Rooney, Iniesta, Xavi, Suarez are all examples of spectacular players that will participate in the World Cup. But, winning the tournament is a team effort, individuals can’t do it alone. It will only get more interesting to debate and discuss about the upcoming World Cup isn’t it. In my opinion, I view Brazil (with home advantage), Germany, Spain and not forgetting the superb Belgium who have shown marked improvements as a whole as the potential title contenders. 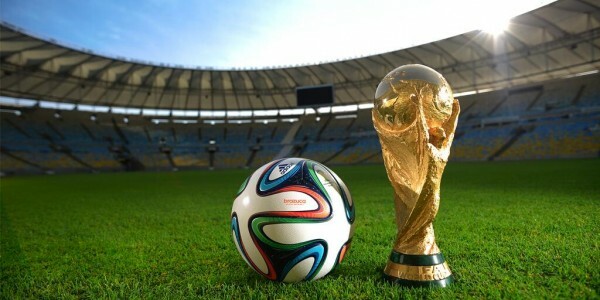 But the question remains unanswered, who will win the World Cup 2014? Only time will tell. To conclude this interview, this is the official song for World Cup 2014 for those who are not aware of it. Stay tuned for Part II and enjoy the song!